The oil and gas industry is divided into three components or sectors: the upstream, midstream, and downstream. Note that these three sectors also correspond to the three major categories of activities of the oil and gas industry value chain. Furthermore, these three represent the chronology of critical oil and gas activities. The upstream sector includes all activities that are further categorized either as exploration activities or production activities. This sector is also known as the exploration and production or E&P sector. Exploration activities include geologic and geophysical operations aimed at surveying a particular land area or a portion of the seabed and determining the possible existence of an economically viable underground oil or gas resource and reserve using the most appropriate exploration methodology. Other relevant activities include securing leases and permissions from relevant parties such as the government or landowners. On the other hand, production activities revolve around developing the oil or gas reserves into a productive oil or gas field, and the actual operation for recovering or extracting such reserves. Specific activities include drilling projects, facilities engineering, and other construction projects. Project closure activities commence once all reserves have been effectively extracted. These activities include plugging and abandoning of fields and well, as well project reevaluation. It is important to note that determining the applicable fiscal regime and entering a particular type of oil and gas agreement are part of the upstream activities. These activities are undertaken before and after the exploration activities, specifically before the beginning of production activities. The midstream sector centers on moving the oil or gas products from the production sites or oil fields to the market and further to the consumers. This sector essentially connects the upstream sector to the downstream sectors. Transportation is a midstream activity. The industry uses different modes of transportation to move oil and gas products such as pipeline and pipeline networks, rails and trucks for land transportation, and barge and tanker for maritime transportation. Hence, notable examples of midstream players are pipeline transport companies, trucking and hauling companies, shipping companies, and terminal developers and operators, among others. Other midstream activities include storage of oil and gas products, delivery from fields to processing plants and further down to distributors and consumers, and trading and marketing of wholesale oil and gas products, as well as raw oil and gas products. Some midstream activities blur the line between upstream and downstream activities. For instance, storage activity within the production facility or in proximity to the oil or gas field essentially belongs to the upstream sector. Refineries with transportation and storage activities technically belong to the downstream sector. The downstream sector includes all activities revolving around the refining of crude oil and the processing and purification of natural gas, as well as the selling and distribution of final oil and gas products such as jet fuel, gasoline, diesel, kerosene, and liquefied natural gas, among others. 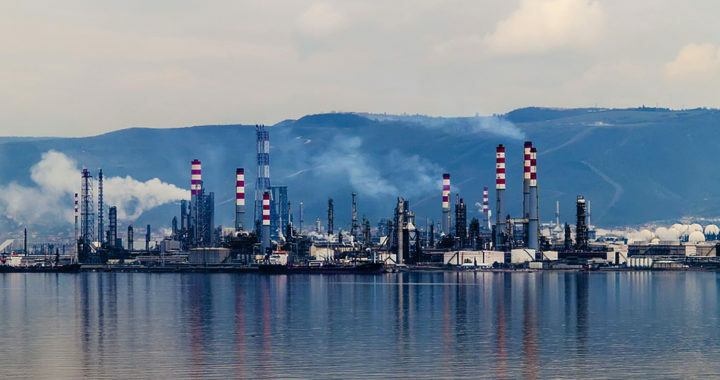 Other examples of final oil and gas products produced under downstream activities include lubricants, waxes, asphalt, and plastics, as well as other petrochemicals such as olefins, aromatics, methanol, formaldehyde, methane, ethane, propane, and butane. Remember that post-production activities such as the selling and distribution of these final products are also considered as downstream activities. The purpose of these activities is to move these final products into the market for end-user consumption. Based on the different types of downstream activities, some examples of companies involved in the downstream sector are oil refineries, natural gas processing plants, petrochemical companies, energy trading and marketing companies, retailers, electricity distributors, utility providers, and manufacturers of hydrocarbon byproducts, among others. Generating economic value or capitalizing from oil and gas reserves is not a straightforward process. The oil and gas industry is both complex and expansive. It involves the participation of different business organizations performing different activities that are collectively critical in extracting the oil or gas reserves from the underground and bringing them to end-user consumers are not a straightforward process. Nonetheless, understanding the differences between upstream, midstream, and downstream activities, especially their scope and characteristics, is essential to having a foundational familiarity with the oil and gas industry value chain.